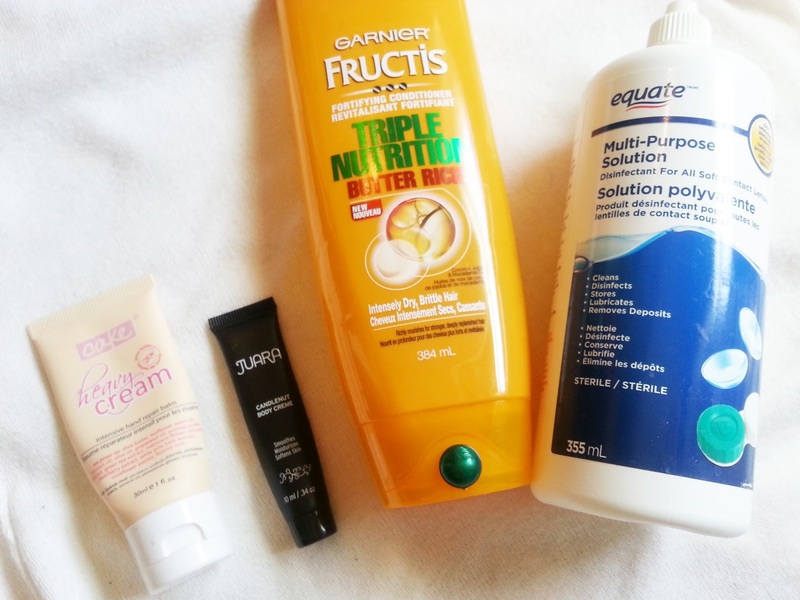 Deidre's Discoveries: May 2017 - Empties! As always, empties are my favourite kind of post! I like being able to see what I've used up in a month - because I can actually see that products are being finished! 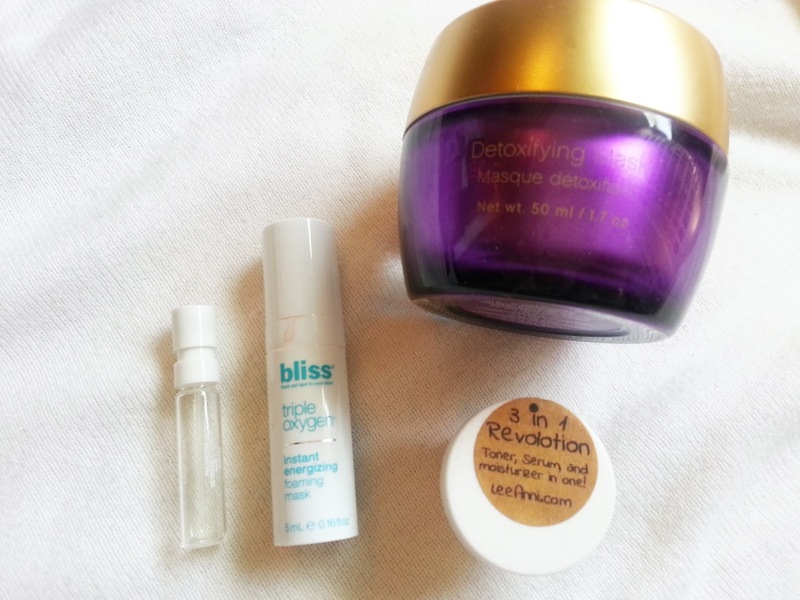 I also like to read other bloggers empties posts, and watch them on YouTube. It seems like such a strange concept - to read/watch someone talk about their garbage, but I find it really determines how much you actually liked/disliked the product! 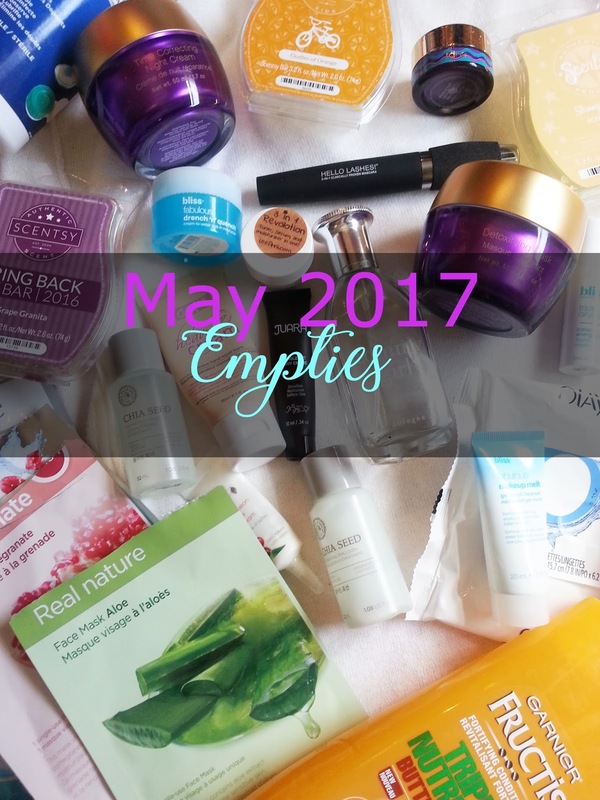 So, without too much more babbling... here are my empties for May 2017! I managed to finish a decent amount of empties this month, let's just get right into it! Grape Granita - Sun-warmed grape and pineapple with undertones of honeysuckle. This is currently unavailable, but it very frequently comes back during the Scentsy BBMB (bring back my bar) campaign that happens twice a year. I'd say this comes back every year, or year and a half depending on when they add it to the list to vote on. Anyway, I don't get much honeysuckle or pinapple in this one, it's straight up grape. But more of a kool-aid/tylenol grape. It's a favourite here, and I will have to grab another whenever it comes back during BBMB! Skinny Dippin' - Fresh green apples perfectly harmonized with refreshing melons and juicy pears. This is one of my favourite scents! 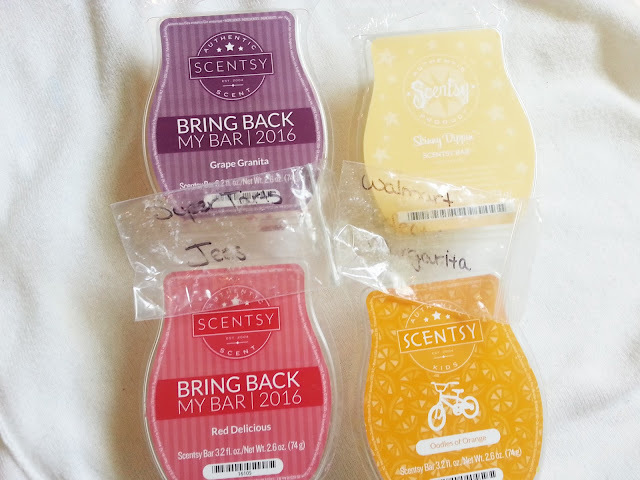 It's fruity without being too heavy, it really reminds me of the Caribbean Escape scent from Bath and Body Works. I've had it in shower gel, and it is just an awesome scent. I will also be reordering this sometime in the future! Red Delicious - Crisp, juicy apples, fresh from the orchard. This description is spot on. It really is fresh apples. I really liked this, but there are other apple scents that are easier to come by. This is another BBMB scent, so it isn't always available. Overall, I did like it! Oodles of Orange - Kids will love this sweet, citrusy scent punched up by fresh pineapple, crisp papaya, mango blossom and ripe bunches of tropical berries. Yum! I find this weird because as I read the description, I feel as if it didn't smell like that. It was very orange in scent to me, with a light hint of tropical notes. It was a nice scent and I would consider repurchasing it. SuperTarts - Wax Tart Sample - Jess - Rose jam, peppermint, leather bound books. As mentioned in my previous empties posts, I received a bunch of wax samples from a friend who lives in the US. This was one that she sent me. I surprisingly liked it, even though I was unsure about the leather bound books. This was more on the floral side (rose jam) but it wasn't overpoweringly floral. If that even makes sense? This isn't a typical scent I would reach for, but I did like it! This also was sent to me from my friend. This really was the perfect margarita scent. It was lime, had a slight hint of salt, but it wasn't too salty or lime-y. It's so hard to describe, but it's perfect for summer! I wish they sold it here in Canada! I did a review on this set here. I would use the toner twice a day, once in the morning and once and night. It really did make my skin feel hydrated, and didn't leave my skin sticky. I also noticed it didn't irritate my skin like other toners may. I really liked this and would consider repurchasing the full size in the future. Also included in my review here. 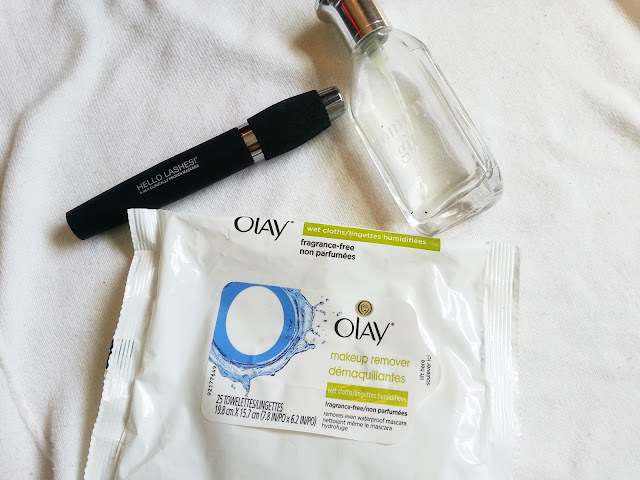 I would only use this in my night routine, and I found that it also helped hydrate my skin. It was a light formula so your skin didn't feel like there was a lot of product on your face. I liked this as well and would consider repurchasing in the future. Eye creams take forever to use up! I can't even tell you how long I've been trying to finish this one up. Maybe close to a year? Anyway, there were a ton of rave reviews on this, and I didn't find it to be anything special. It didn't really depuff my eyes in the morning, and it gave very light hydration at night. I wouldn't repurchase this. I received this in a Bliss Prive Topbox, and I have to say, I liked it, but also didn't like it. I loved the formula, I liked how it came out as a gel, but while using it, it turned to an oil. BUT. Does it ever sting the eyes! It also wasn't the greatest at removing makeup. So while it was convenient, and I liked the texture... it burned. I wouldn't repurchase this. I have mixed feelings about this moisturizer. It was no way moisturizing enough on it's own for me. I tried it alone, under makeup, and in between skincare steps. 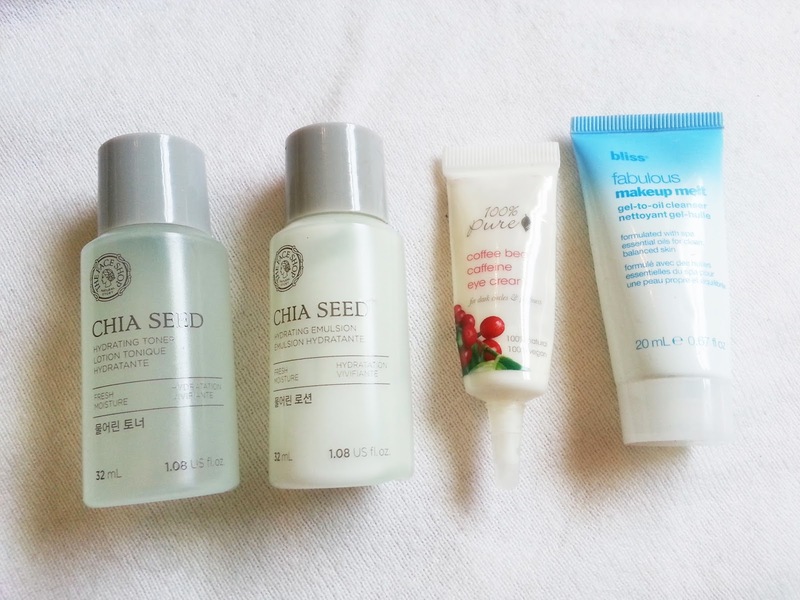 My favouite way to use this was after applying a serum, and then just before applying my emulsion at night. I wouldn't repuchase this because it didn't do anything for me. It did smell good though. This was also in the Bliss Prive Topbox. I mostly used it under my makeup. Again, I didn't find it very moisturizing, but it was also an interesting texture. I wouldn't repurchase this. I did a full review on this here. I found it to be very overpriced for what you get. Which is typical of Younique products to me. Anyway, I liked that it was unscented and it was a nice texture for a night cream - however, it pilled a lot on me. It was moisturizing, but that's about it. I wouldn't repurchase this. I really like this perfume, and have quite a few sample size vials around. Described as Tomato Leaves, Violet Leaves, And Green Mandarin, Violet, Tuberose, Plumeria, Sandalwood, Cedarwood, Musks. This isn't a scent I would choose based on the notes. However it smells really nice and I would purchase a full size! This was also in the Bliss Prive Topbox. I didn't reach for it a lot, and I got maybe 4-5 uses out of it, which is good for a sample this size. Anyway, it was sort of gel in texture when it first comes out and is applied to your face, but then it turned into a foam mask. I didn't find that it did anything for my skin, and I wouldn't repurchase it. I've discovered I don't like the feeling of these foam masks. This was a black charcoal foaming mask, and I did a full review on it here. As mentioned above, I've discovered that I don't like the feeling of these masks. They feel itchy, and I find they just don't do anything for my skin. This actually left a black residue behind on your skin too. Not a fan, and I won't be repurchasing. I actually got this in an ipsy bag a million years ago, and won a full size bottle during one of the giveaways. I pumped some of the full size into this little travel container and put it in my purse for on the go when my skin was feeling extra dry. Well, I kind of forgot it was in there, and it went bad. It separated, and just was not good anymore. I did really like it when I had it, and it was a 3 in 1 product which said it was a toner, serum, and moisturizer. I would consider repurchasing this in the future. Maybe once I make a bigger and better dent in my skincare. This had a weird wand, and it dried out really fast. I didn't find that it gave my lashes a lot of volume, but it did make them look longer. Not an amazing mascara, and I wouldn't repurchase it. Oh gosh. This is from high school. It still smelled good, and I just used up the small amount left to finish it. I would repurchase it just based on nostalgic reasons. But it's still a scent I'd wear frequently! I liked these, they did a good job at removing makeup and swatches. They aren't the best I've ever used, but I would repurchase them if they were a good price. 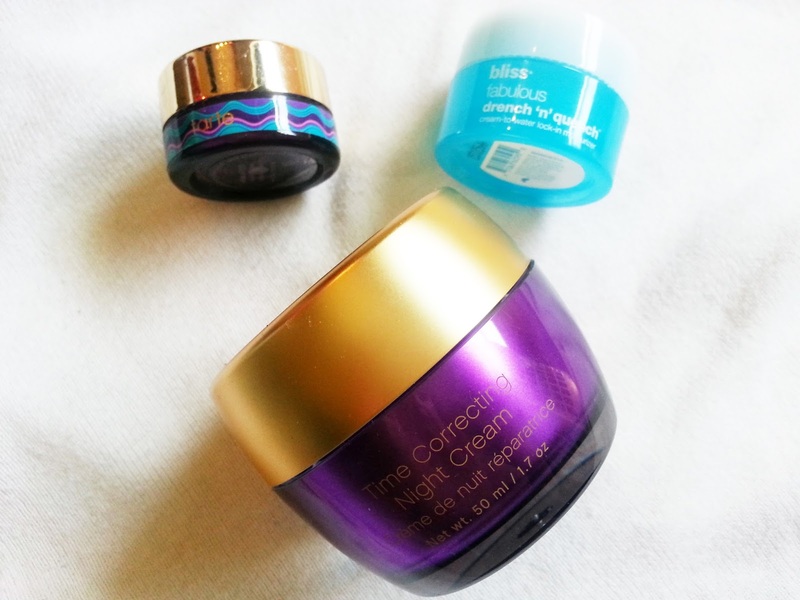 This was a super thick cream, but it moisturized amazingly. I used this all over and not just on my hands. It smelled like cake batter, and I really liked it - which is saying a lot! I would consider repurchasing this if/when I ever finish all my hand/body lotions. This was a little moisturizing but I didn't like the scent at all. I wouldn't repurchase this. I liked using this with the matching shampoo. They do provide moisture to dry hair. I ended up finishing this quicker because I mixed some ultra violet Manic Panic into it to tone my hair. If not washed out completely, it will leave hair looking greasy. I would only repurchase if it was really cheap, because I have other favourite shampoos/conditioners I'd prefer to purchase. Not the first or last time you will see this here. We usually pick Solo Aqua Care, but when we can't get it on sale, we will pick up this Walmart Equate version. It hydrates the lenses, and doesn't leave my eyes feeling dry either. They keep the lenses clean, and is very affordable. So we will repurchase in the future. I didn't finish very many masks this month - I don't know why! I just let it slip my mind I guess. Anyway, I didn't like the Garnier mask. I found it stung the skin, and just was not very moisturizing. I really liked the Pur-Lisse, it fit perfectly and had the right amount of essence. 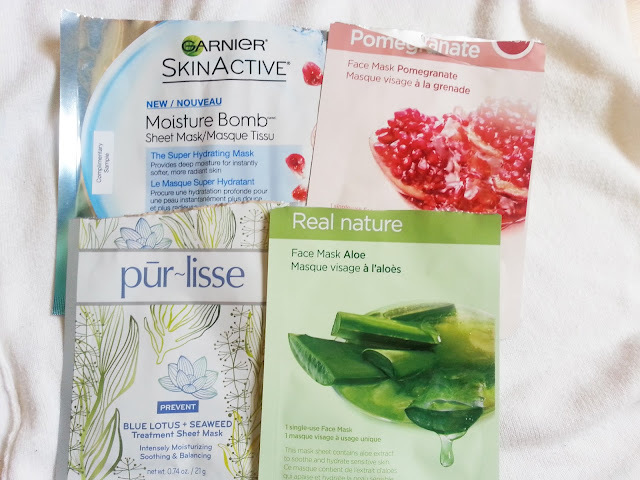 And as always, I really enjoy TheFaceShop Real Nature face masks. These two were Aloe, and Pomegrante. And I have a ton more in my stash to get through. In total I finished up 28 products! I can't wait to see what I finish next month!